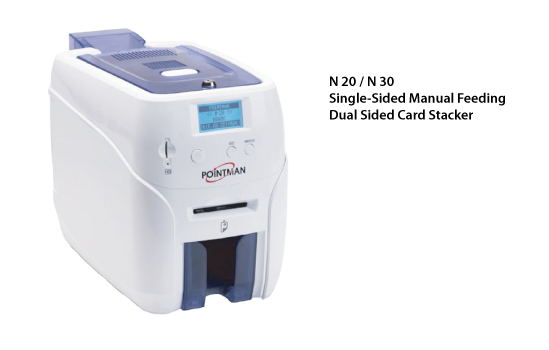 We are an authorized distributer of Pointman Thermal ID Card Printers. 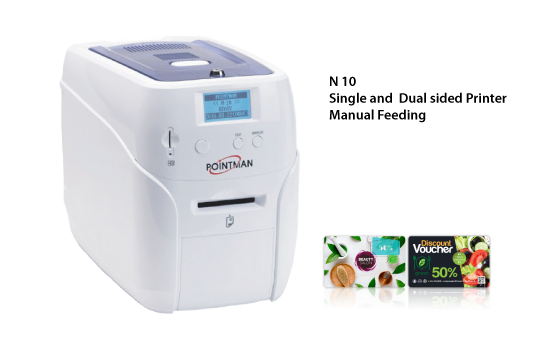 These machines are ideal for your in-house printing needs, such as employee cards, identification cards, access control cards, membership cards, certificate cards, bank cards, gift cards, debit cards, and can be used with RFID cards for secure access facilities. With a plastic ID card printer, you will be able to perform all of these tasks with ease. What’s not to love? Our direct thermal and thermal transfer points make this an ideal choice for any individual looking for an edge in the business world. NUVIA Card Printers consist of multiple different handles that help make printing suitable for any work space such as retail, government and education just to name a few. Lock enclosures combined with high security interface and added fast print speed make its quality and affordability a leading and revolutionary product for all of your card printing needs. This printer is a “must have” for any office in Canada! ID Cards printing allows you to print high quality cards without complicated processes and procedures. It guarantees vibrant colors, edge-to-edge printing, and security for professional-looking cards. For more information on how an ID card printer can make your business more efficient please contact us now.